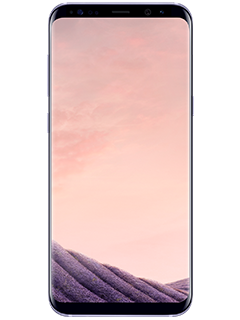 Introducing the Samsung Galaxy S8+. It unlocks with a look, communicates with you, connects to your home, can handle a splash11, and can pretty much take you anywhere with Gear VR. And meet Bixby, the assistant that learns from you to help you do more. Want the same great features in a smaller phone? Check out the Samsung Galaxy S8. INFINITY SCREEN With the world's first Infinity Screen, you can watch shows and films the way they were meant to be seen. BIXBY VISION Bixby Vision helps you to identify landmarks, translate foreign languages, or find out where to buy an item—and comes built into the camera.